Chinese President Xi Jinping attended the BRICS leaders' meeting recently and visited four nations in Latin America. The prominent tour, the highlight of which was a decision to set up a BRICS development bank, has been given a thumbs-up by netizens around the globe. Good for the BRICS and good for the world. It unleashes good competition, accountability, fairness and challenges to the World Banks and IMF! It is about time. I am heartened by the wisdom shown by President Xi Jinping. The world will remember him as one of the wisest leader who brought about peace, security and progress to the whole world. Congratulations to the outstanding leader of the world. Wishes to the bank. Hope it can grow well and strong enough in short time to be a significant player in international financial arena. The proposed BRICKS Bank with two Asian giants (China and India) as major partners is a great leap once again toward the establishment of a semblance of economic equality among the nations of the world. The BRICS political leadership, one hopes, will sustain and stabilize in the larger interests of the less privileged peoples of the world. Kudos to BRICS political leadership! In the current global financial system of cronyism, these nations are not represented. Actually, lots of powerless nations’ votes in the world are not even ever counted, totally marginalized. That’s why BRICS stand out. At this rate, it would be very interesting to see the further development in the future. Best wishes to the BRICS leaders! You did a great job! China President Xi Jinping is more than busy doing his part to bring together nations that will come and take the boat with China to achieve peace, progress and prosperity for all human kind under the sky! China loves peace and welcomes all nations to come together in full unison to make tomorrow better for all! 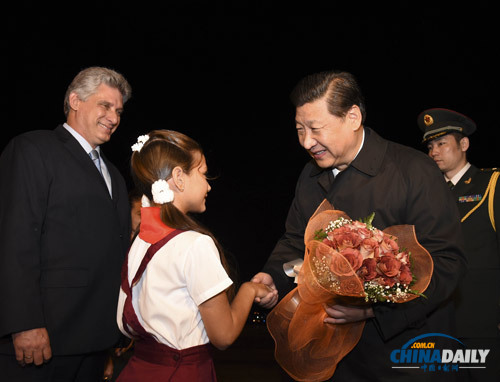 Chinese President Xi Jinping attended the BRICS leaders’ meeting recently and visited four nations in Latin America. The prominent tour, the highlight of which was a decision to set up a BRICS development bank, has been given a thumbs-up by netizens around the globe.